Opening your spiritual channels starts with trusting in the guidance you receive. Whether you receive an image, a message through soul communication, a feeling, a knowing and more, the key to opening your spiritual channels is to trust in yourself and in the messages you are receiving . To trust is to to honour Heaven and your spiritual fathers and mothers and a profound way of showing gratitude for the messages they are offering you. As you develop this trust, you will become more aware of what is a true message and what is a false message. Most false messages are connected to one's own mind blockages and negative karma. The mind blockages include negative mindsets, negative negative attitudes negative beliefs attachments and ego. The negative karma is from the mistakes we and our ancestors have made in this and past lives connected to our spiritual channels. You may have taken advantage of others with your spiritual channels, or not listened to the guidance given to you by the Divine and your spiritual fathers and mothers when it was important to do so. You may have doubted and not honoured enough the messages Heaven was giving you. All of these aspects could block your spiritual channels and cause a blockage for you to advance further on your spiritual journey. This is a practice I received from Ling Hui Sheng Shi for transforming the soul mind body blockages in your spiritual channels to open and purify your spiritual channels. Sit in a comfortable position with both your hands placed on your lower abdomen, one over the other. Visualise yourself sitting on a lotus flow in the center of your lower abdomen. 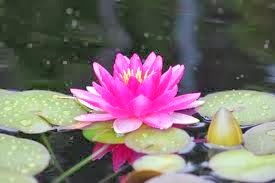 The lotus flower is radiating the brightest crystal light, nourishing and blessing your soul heart mind and body. Feel yourself enter into the Divine condition and visualise yourself as a Buddha, sitting on the lotus flower meditating and receiving Heavens nourishment and light. Liquid light is being poured into your crown, and fulfills your body, head to toe. Ling Hui Sheng Shi (new name of Guan Yin) sits in front of you, and offers you a blessing to open your message centre (heart chakra) and heart. She is chanting her soul song for 2 minutes to offer you this blessing. Please receive this blessing for 2 minutes. Now we will offer a forgiveness practice. I love honour and respect you. Please forgive my ancestors and I for all the mistakes we have made. We sincerely apologise and ask your forgiveness. You can do this practice at any time of day and chant to offer forgiveness. There is no time limit to the amount of time you can practice. The more you chant, the better. I wish for you to purify and open your spiritual channels and to advance on your soul journey. Share this practice with your friends and loved ones. It is to serve and benefit those who seek to open their spiritual channels further and advance on their soul journeys. Dear Will, Thank you and it is an honor to serve you. With love and blessings for your soul journey. Thank you and love you.! Thank you beloved Kate. It is an honor to serve you. Thank you Beloved Master Maya and Ling Hui Sheng Shi for this beautiful teaching, meditation and blessing. The meditation with the blessing was extremely powerful. My whole body was vibrating. My Message Centre became very warm and my crown chakra was tingling. With the forgiveness practice, I felt so much more peace in my heart and soul. Thank you! Love you!